Naps are a sacred time for many parents. While their toddler sleeps off their crankiness, parents get a little peace and quiet. Naps also benefit toddlers because they help strengthen their attention span and will often mean a better night’s sleep. But, toddlers won't nap forever, and this can be a rough time for both parents and child. Many parents wonder when children will stop napping to better prepare for this new kid adventure. Learn when to expect the mid-day breaks will end and how you can make the transition less stressful here. You'll notice that for the first year you baby will quickly go from taking six naps a day to just two. By the time your child is around 18 months, they will be taking only one nap a day. 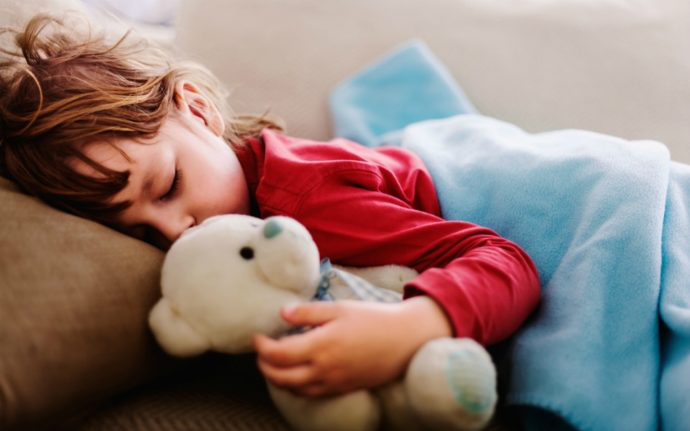 This once a day nap tends to stop once your child is around 2 to 3 years old, but some kids may continue needing an afternoon nap up until the age of 5. Your toddler will give you some signs that they no longer need to nap, so be on the lookout for these 3 important signs. 1. Toddler doesn't fall asleep quickly for naps. One of the most obvious signs that your toddler is ready to transition from one nap to no nap is when they don't seem tired at all around their usual nap time. As toddlers grow, they are able to gradually handle being awake for longer. Their nap times may slowly move from earlier to later and then not be needed at all. 2. It takes longer for toddler to fall asleep at bedtime. During the transition period afternoon, nap times will begin to get pushed back later in the day and this will ultimately start to have an effect on their bedtime sleep. When toddlers reach the point where they can stay awake for longer periods of time, taking nap will lead them to stay up later since they got to sleep in the afternoon or earlier in the day. When do kids stop napping? Often it is when you notice your child doesn't seem tired at bedtime or it begins to be a struggle to get them to sleep. 3. No negative effects to not taking a nap. One way to test out if your toddler is ready to stop with nap time is to have them skip it a few times. Are they cranky or exhausted by early evening? If your toddler seems to be just fine and unshaped by skipping their nap, then it might be time to cut them out completely. How to Survive When Your Kid Stops Napping? Cutting out the nap entirely may not be the best way to transition your child out of naps. Slowly cutting down on the time that they nap for may be a better option. For this transition to work, it is best to stick with a schedule. If your toddler would normally take a 2-hour nap, start but cutting it back to an hour, then slowly reduce the time once your child has seemed to adjust well. What your child eats has a major impact on how well they sleep, which is true for adults as well. Caffeine, sugar, salty foods, and juices can all have a negative impact on your child's ability to fall asleep. Ensuring your child is eating a healthy balanced diet can help them fall asleep better in the evening, even without a nap, and have better quality sleep. When do kids stop napping would also have you wondering when their bedtime should be or how to be adjusted? When you cut out their daytime nap, your toddler will probably benefit from more sleep at night. Figuring out how much sleep your child needs will help you decide how early their bedtime will need to be. 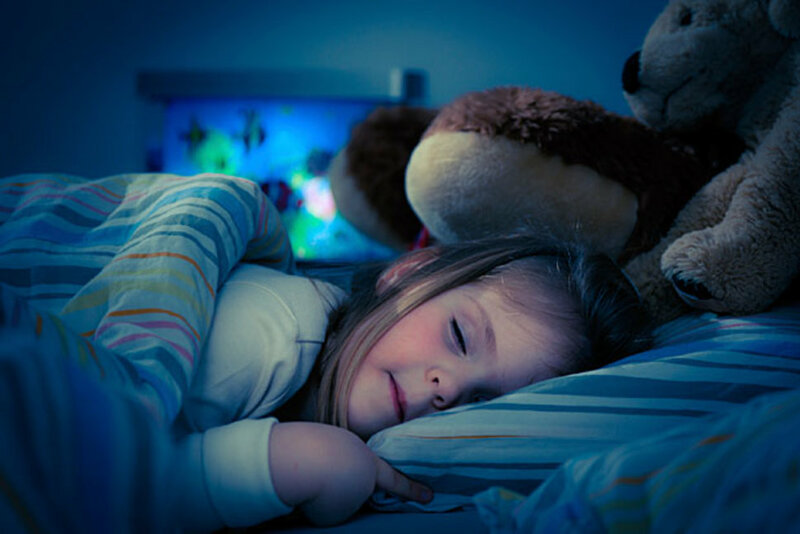 Slowly move up the bedtime to help compensate for the sleep they don't get during their nap and will allow them to get the right about of sleep so they don't wake up cranky. Your toddler may resist napping but that doesn't mean they may not need some time to just unwind and relax. Instead of a nap time, consider implementing a quiet or rest time. You can give them the option of sitting quietly in their room reading or coloring or give them quiet activities to do on their own. Some days you might want to have their favorite movie as a standby when you just need to take a short break so you both aren't cranky and irrational. Some toddlers will transition better if they still get to nap every couple of days. Many children will be much happier if they still get a nap a few times a week. If your child doesn't have issues falling asleep when it is bedtime in the evening, a nap may still be necessary once or twice a week. Trying skipping naps every other day at first to see how they respond, then go two days without a nap. When do kids stop napping can be a trial and error transition; just be careful not to fall back into a regular nap time routine especially if your toddler is fighting sleep in the evenings when they do take a nap. While the transition from one nap to no nap can be a long outdrawn position, this is only temporary. Remain positive and remind yourself of all the extra time you can spend with your child having fun as well as how much more convenient it will be to run errands. No naps mean you no longer have to schedule your day around them. Stay focused, consistent, and patient and the transition will be easier for both you and your toddler.